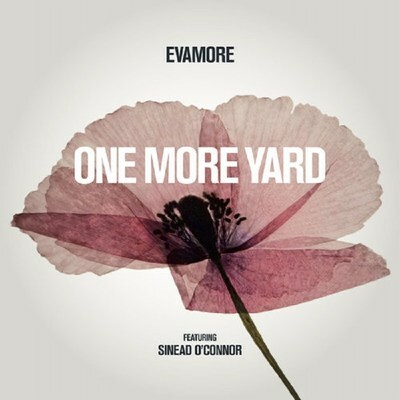 LONDON, Nov. 6, 2018 /PRNewswire/ -- Rock stars and screen icons today released "One More Yard" - an EP they have recorded in tribute to the sacrifice of young World War 1 soldiers and to raise awareness of today's war on cancer. 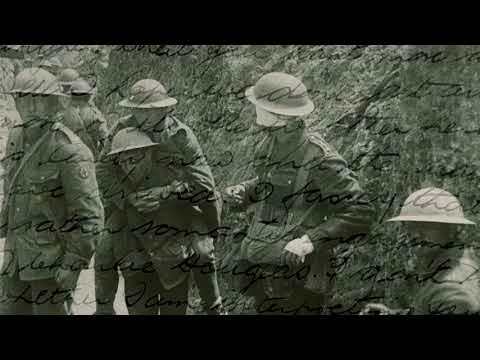 Ronnie Wood of the Rolling Stones, Nick Mason of Pink Floyd, Brian Eno, Sinead O'Connor, Imelda May, and acclaimed actor Cillian Murphy recorded "One More Yard" - a song inspired by the heroism and letters home from a young Irish soldier who was killed in 1917. It has been released on Evamore Records and is available to download and stream here: https://lnk.to/EvamorePR. The EP is part of the Evamore project (http://www.evamore.co.uk) which was founded by leading scientific entrepreneur Professor Sir Chris Evans as he was conducting research on creating a new cancer awareness charity. He was struck by the emotional struggle of young people confronted with cancer and how similar their written expressions and fighting spirit were to those of young soldiers thrust into the grim trenches of WW1. Sir Chris researched thousands of WW1 letters and used the actual words and phrases of the soldiers to write a collection of original songs. The project will see an album of songs produced and launched within the next six months and proceeds will go to a new Cancer Awareness Trust which will provide expert clinical advice and guidance to cancer sufferers around the world to help maximise their chances of controlling and overcoming their battles with this disease. Sir Chris said: "It was incredibly moving to see how the words of soldiers 100 years ago were so similar to those of young people suffering from cancer today. We can only now honour the sacrifice of those a century ago but there is so much to be done to help those who are locked into the greatest struggle of their lives as they confront cancer. We are very privileged that some of the greatest names in rock music and wonderful actors have chosen to get involved in our project." Ronnie Wood said: "As someone who has had to deal with cancer, I am delighted to be part of this new awareness initiative - it's a great idea backed by some brilliant scientific people. I love the track One More Yard - a sad true story set to a haunting melody. It was a pleasure playing on it. I hope everyone gets behind this great charity, and there will be more to come." Nick Mason said: "This is an outstanding project that allows people such as myself to pay our tribute to the young men of 100 years ago who fought for our freedom but also to do something to help young people facing cancer today." "One More Yard" includes a prologue section featuring haunting instrumentation from Brian Eno, with Cillian Murphy reading extracts of letters written by Lieutenant Michael Thomas Wall from the Royal Irish Regiment to his mother in Dublin. Battling one more yard across no man's land was a phrase often repeated by many soldiers in their letters and diaries.